Note: Details of this court case may be distressing to read. A MOTHER WHO was suffering from a personality disorder described her two-year-old son as a “fake child” on the day she killed him by stabbing a pair of scissors into his neck, a court heard this morning. Hazel Waters (47) of Ridge Hall, Ballybrack has pleaded guilty to the manslaughter of her son Muhammad Hassan Khan between 15-16 October, 2014. The toddler, described as a lovely, happy and thoughtful little boy, was found dead in the bedroom of their home on 16 October. It also emerged in court that social workers were trying to contact Waters to arrange a meeting on the day of the killing. At a sentencing hearing this morning, two psychiatrists told the court that Waters has a personality disorder that diminishes her responsibility for the killing. Justice Patrick McCarthy will sentence her on 1 June. Detective Sergeant Joe O’Hara told prosecuting counsel Luán Ó’Braonáin SC that Waters sent a text message to her other son, Jessie, on the morning she killed Hassan. Detective Sergeant O’Hara said the alarm was raised when Waters arrived at her sister-in-law’s house without Hassan and was unable to say where he was. She told her sister in law, Maria Waters, that “they” had taken him but was unable to say who they were or where they had taken him. Maria also noticed that Waters was carrying a wooden spoon that the child usually carried and that she was not wearing her hijab. Waters had converted to Islam, her husband’s faith, and was extremely devout. Maria called gardaí who went to her home, entered through an unlocked door and found the apartment in disarray and the child dead in the bedroom. A post mortem showed that he had suffered multiple wounds to his neck. A number of the wounds were superficial but Deputy State Pathologist Dr Michael Curtis identified two deep wounds that caused the boy’s death. When gardaí interviewed Waters she said she couldn’t remember harming the child, that she would never harm him, and she didn’t know what had happened to him. When the text messages to her son were read to her she described them as “bizarre” and said she couldn’t remember sending them. Detective Sergeant O’Hara agreed with Brendan Grehan SC, defending Waters, that she had been married to a man named Saleem Khan and had taken a barring order out against him after he took Hassan away from her. Gardaí were called and the social services had become involved with the family as a result of that incident. In the weeks before the killing Waters’s family had become concerned about her mental health. Dr Brenda Wright of the Central Mental Hospital said she wrote a report on Waters on behalf of the prosecution. In the report she noted that Waters’s history suggested that she had a mental health issue for some years. Her relationship with Khan was “difficult”. They had married shortly after they met and Waters said he would become violent for no reason. She said he assaulted her while she was pregnant and that he had attempted to strangle her on two occasions. The court also heard from relatives of Hassan. His father, Saleem Khan, wrote a letter to say that since his son’s death he suffers from severe depression, has lost his business and has moved back to Pakistan. The boy’s uncle, Robert Waters, said his death has been “deeply agonising” and the family has struggled to carry on. 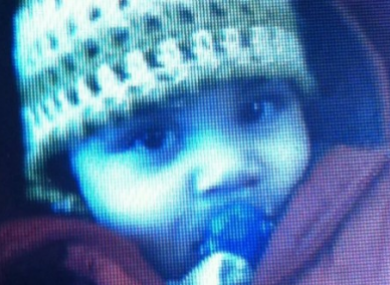 His aunt Maria said Hassan was a “lovely, happy little two-and-a-half year-old boy”. She recalled him playing with a hose on a summer’s day, watering the flowers, the grass and then giving the cat a shower. When he turned the hose on the adults he screeched with laughter as they jumped from their seats. She said Hazel was a good mother and truly loved her son. Olivia Waters, speaking for herself and her sister Rachel, said the family lost Hassan in the most upsetting circumstances. She said they feel anger at the social services for not intervening, guilt because they wonder if they could have done more to help, and shame from having the killing discussed in the media where the key facts were often wrongly stated. Olivia also read a statement from Hassan’s brother Jessie, who said his mother had struggled for help and support and that he is glad at recent improvements in her health. In his submissions to the judge, Brendan Grehan said that his client’s failure to recall the events meant that she was denied a verdict of insanity. Referring to a report written by a doctor at the Central Mental Hospital, Grehan said Waters needs ongoing treatment and supervision. Justice McCarthy said he will give a decision on sentencing on 1 June. Email “Mother called toddler a 'fake child' on day she killed him, court hears”. Feedback on “Mother called toddler a 'fake child' on day she killed him, court hears”.